As the classic tune goes, “breaking up is hard to do” – and when you’re married with kids, you can bet that it’s going to be 10 times harder. Separation and divorce is never easy on anyone involved, and can be very stressful and challenging for all involved. Although it’s sad that things didn’t work out, what can be even more tragic is the parties involved holding onto their mutual resentments for the rest of their lives. This is a message that was obviously taken to heart by one Texas dad, who is making headlines for all the right reasons. 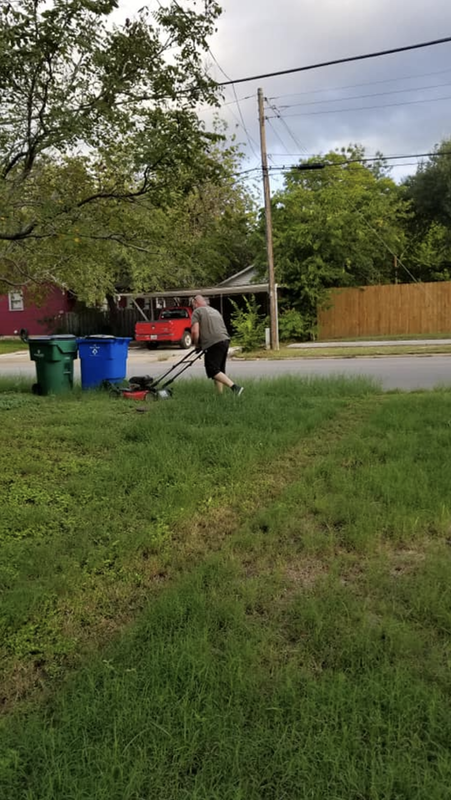 It doesn’t take a grand gesture to show that you’re still willing to do the right thing – it can be something as simple as mowing a lawn. A Twitter user by the name of Codie LaChelle McPhate shared a simple story recently that has touched the hearts of many. Codie is fortunate to have parents who continue showing respect for one another, after their separation some 28 years ago. 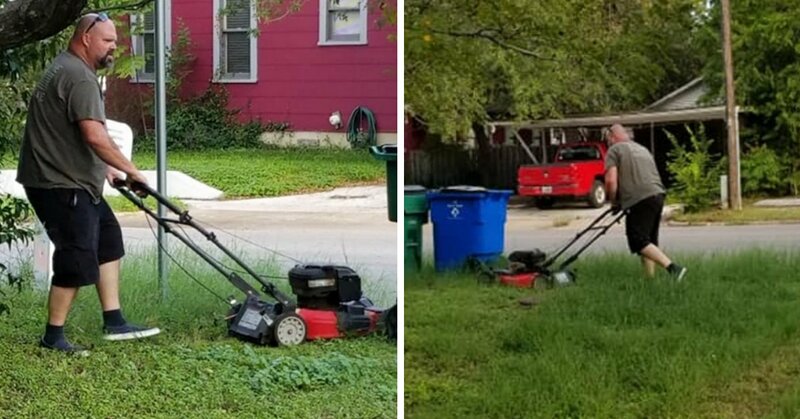 The 38-year-old from Texas contributed a blog post to Love What Matters, explaining that while her stepfather was away, McPhate’s father mowed his ex-wife’s lawn. Why? Because she was suffering from pretty serious knee problems, and was unable to do it herself. None of us know what the couple went through which led to their separation, but one thing is obvious – they are still willing to stay on good terms, all these years later, for the sake of their (grown-up) children. See Codie’s original post here. “My mom has bad knees, and my step-dad works out of town,” McPhate wrote. Codie’s brothers and sisters were a little confused as to what was going on. Her father no longer lives in Texas, but happened to be visiting while on vacation at the time. The selfless ex-husband didn’t take issue with helping out when his ex-wife was in a tough spot. “I’m no saint,” he told his daughter – but Codie is full of admiration for him. There’s an old saying that goes “Holding onto anger is like drinking poison and expecting the other person to die”. I think we can all appreciate the significance of that, and aim to do the opposite, just like this ex-couple have.